The Binary Nerd says that he is a professional binary options trader. 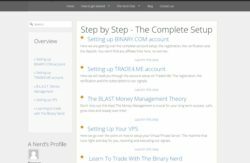 His services consist of letting you copy his trades on your account, so that you make money. He also provides education. 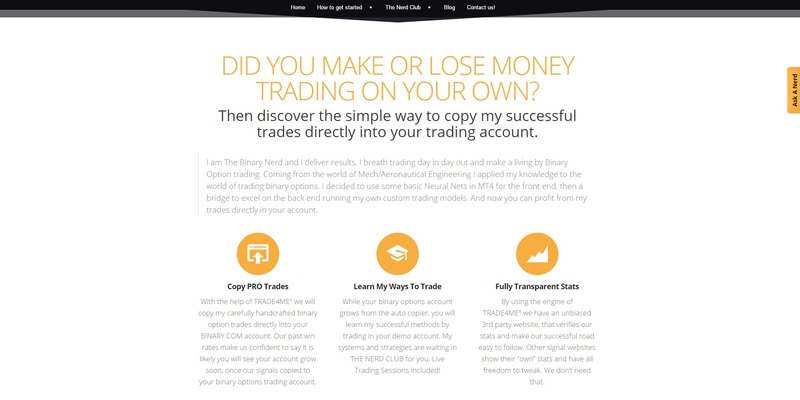 So you should be basically copying a winning strategy and learning how to trade binary options. Now we will explain why we don’t recommend signing up for The Binary Nerd. First of all The Binary Nerd is an anonymous person that has no licence whatsoever to provide financial services or advice. He can say whatever he wants in his Terms, but the fact is, that if you want somebody to copy your trades, you are providing investment advice. The Binary Nerd tries to delegate the responsibility to Trade4.me, because you are supposed to copy his trades through the Trade4.me platform. But then again Trade4.me (run by SAS Neutrino) is not regulated either. And they say that they just provide third party recommendations. Which leads us back to The Binary Nerd. But the Binary Nerd says in his Disclaimer that his website is for entertainment purposes only! So nobody in this is legally authorized to provide trading signals. And we remind you that providing trading signals is a regulated activity in the EU, USA, Canada, Australia and all other countries with a solid financial regulation. Both the Binary Nerd and Trade4.me a tied with Binary.com. 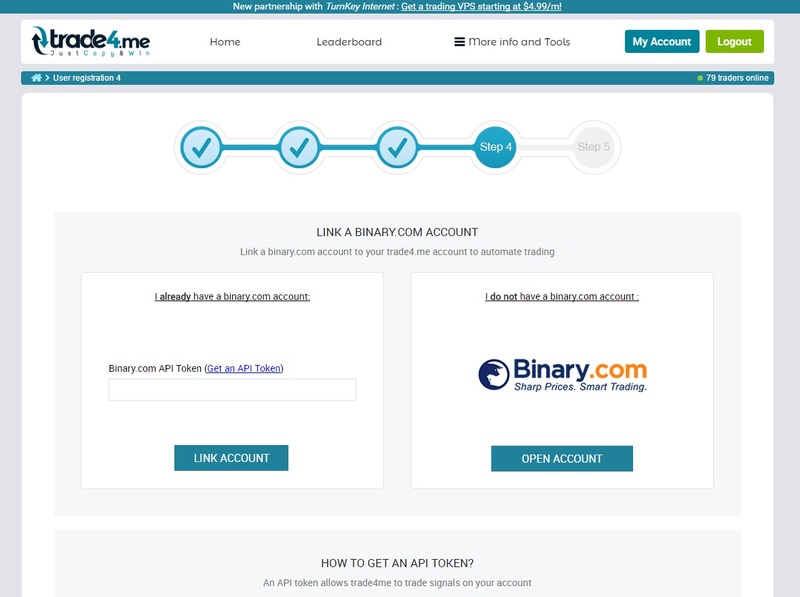 If you want to use their services, you have to get a trading account with Binary.com. This is very suspicious and it means that these services are not independent, you cannot choose where you will trade. 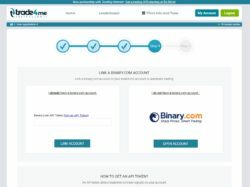 Moreover Binary.com is not a regular broker, it operates under a British gaming licence, so it does not follow the same strict rules as EU regulated binary options brokers do. 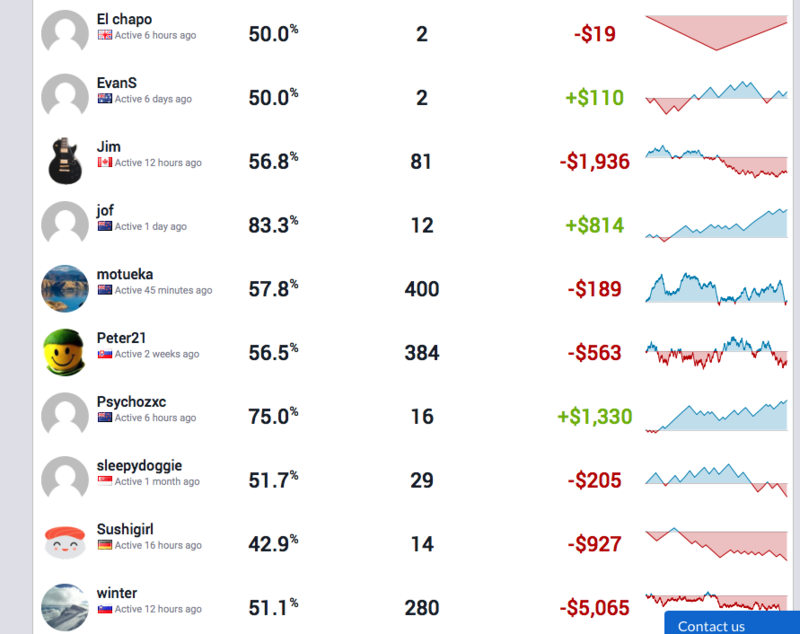 Normally a social trading platform automatically executes the trades on your account. But The Binary Nerd wants you to sign for other services like a VPS and you have to pay for it. Then you also have to sign up with a specific forex broker to get Metatrader. It is a strange chain of services that is hard to understand. 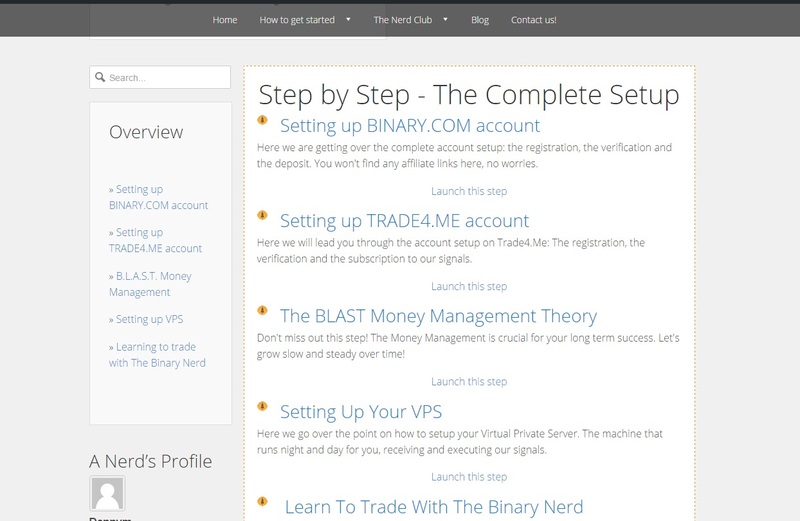 Binary options trading doesn’t have to be complicated as this. Using Metatrader for technical analysis can be useful, but then you can get it anywhere, for example directly from Metaquotes, you don’t have to get it from a specific broker. 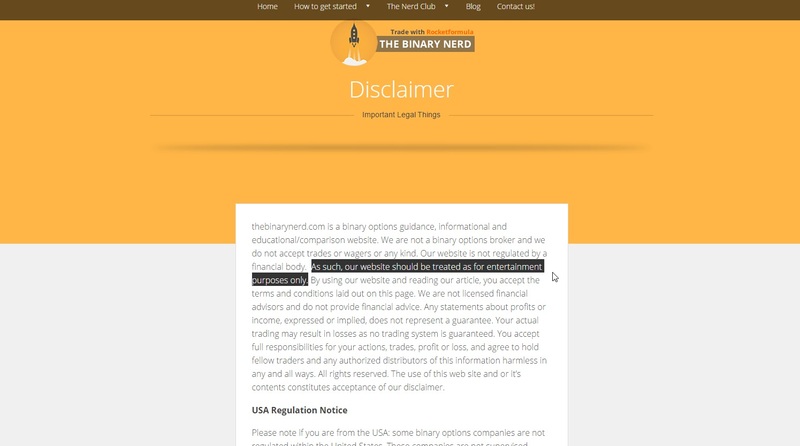 We don’t recommend trading with The Binary Nerd and Trade4.me, because they provide unregulated investment advice that is tied to a betting service, you cannot use it with a regulated broker. We believe that every honest trading signals service should let you verify the signals on an independent demo account with a regulated broker and not force you to sign up with certain companies. Hi which one is real, your review on The Binary Nerd or his review of your review JOhn? Hi, Binary Nerd is obviously lying, because a signals provider is providing investment advice and IT IS a regulated activity in any country with solid financial regulation. Ask the financial regulator in your country. You don’t have to trust me, ask the national regulator in your country if Binary Nerd or Trade4.me is a legit signals service provider. I know for sure that the answer will be a big NO. And again, trading binary options with a betting company like Binary.com instead of a regulated broker cannot be recommended by any regulator either. Ask your regulator and you will see who is right. And finally when we tested Binary Nerd and Trade4.me, we did not see an option to try it on the demo. If they say that now they offer a demo, you can of course try it. So much for their review of our review. He changed his name again to Eureka (from Algobot) so that no one can find him. not positioning this post higher!